Two years ago, Chandler Limited—in partnership with EMI and Abbey Road Studios—released the REDD Microphone, the first microphone in over 80 years to bear the EMI logo. Chandler Limited is the authorized torchbearer of the EMI/Abbey Road lineage; over the previous decade, Chandler has released a range of products based largely on EMI’s legendary solid-state TG series consoles and tube-based REDD mixing desks. The REDD mic combined a classic traditional tube microphone and a REDD.47 tube-based line amplifier circuit into one device. It wasn’t a mic-and-preamp combo, but one circuit in one body, with no external microphone preamp needed! The REDD mic also offered two distinct tonal voicings: full range and opulent with incredible highs and lows, or a more forward and present sound with a tucked-in low end. You could adjust the sound further with independent input and output controls, as well as an additional drive switch for even more sonic saturation. I’m only scratching the surface in this brief description; to learn more, you can check out the full REDD Mic review in our February 2017 issue. When Chandler released the REDD Microphone two years ago, it didn’t take a crystal ball to predict that Chandler might have a further Abbey Road microphone in the works, and that it might be rooted in the solid-state TG sound. It’s here now, and in this review I’ll introduce you to the Chandler Limited TG Microphone. Similar to the REDD microphone, the TG mic bears more than a passing resemblance to a classic Neumann U 47, especially in its head grille and body shape. It shares the same chrome-plated brass headbasket as the REDD mic and also features an internal LED light that gives the grille a gentle red glow. Its aluminum body is also quite similar in size and shape; it measures 2.2″ in diameter and 9″ in length, making it 1.75″ shorter than the REDD Mic. Visually, just as the REDD mic was adorned in the classic EMI battleship gray of the REDD mixers, the TG mic is dressed in the dark gray TG color scheme with yellow lettering. The biggest difference between the mics is that the TG mic does not have a preamp built in. 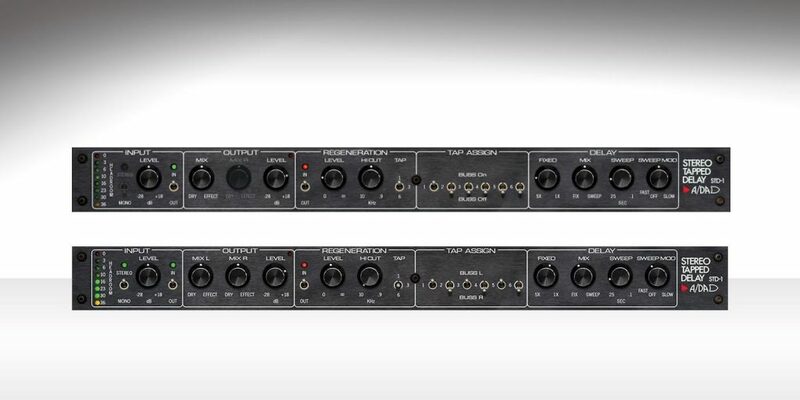 You could say, “this one is just a mic,” but as we will see below, Chandler founder and chief designer Wade Goeke decided to integrate a different but equally unique classic EMI circuit into the mic: a tape equalizer. Despite not having a TG preamp built in, the mic is still completely built around authentic TG components and circuits, including three full TG amps. Its output transformer is the same custom-built design found in the REDD mic. The capsule of the TG mic is completely new, featuring a dual-diaphragm gold-sputtered edge-terminated design. This stands in contrast to the REDD Mic’s capsule, which is center-terminated and platinum-sputtered. As with the REDD microphone, Wade stuck to the classic Neumann U 47 choice of cardioid or omni patterns, switchable on the mic just below the capsule. A second switch on the capsule engages a –10 dB pad. You might be wondering, “Wait—an external power supply? It’s a solid state mic!” True, but as with every Chandler design decision, there was a good reason for it. Wade explained to us that he wasn’t satisfied with what he considers the compromise of modern +48V phantom power, and wanted the mic capsule to run off of a higher rail voltage. As such, the TG microphone does not use phantom power. It comes with its own external power supply, which is about the size of a direct box and is itself powered by a wall-wart AC plug. The mic comes as part of a kit with the power supply, a multi-pin Mogami cable, vintage-style shock mount, and wooden storage box. What is the sound of the TG Microphone? That question doesn’t have a simple answer. The microphone has three sections of tone shaping controls that yield many sonic possibilities. First is a 3-position highpass filter switch with settings of 90 Hz, 50 Hz, or off. Second, the TG features a Dual Tone System with settings of A or B. Mode A is the classic TG sound, but in a mic. ; the TG Mic captures sources with a full, even, and largely neutral low end, a punchy forward mid presence, and a focused harmonically rich top end. On the spectrum of solid state microphones, the TG Mic is voiced much more like a robust classic FET mic than a bright, modern specimen. In Mode B, the sound gets cleaner and more relaxed, with four times less harmonic content and a touch less brightness. It also pulls back the input level slightly, making it a great choice for loud sources like screaming guitar amps or kick drum. 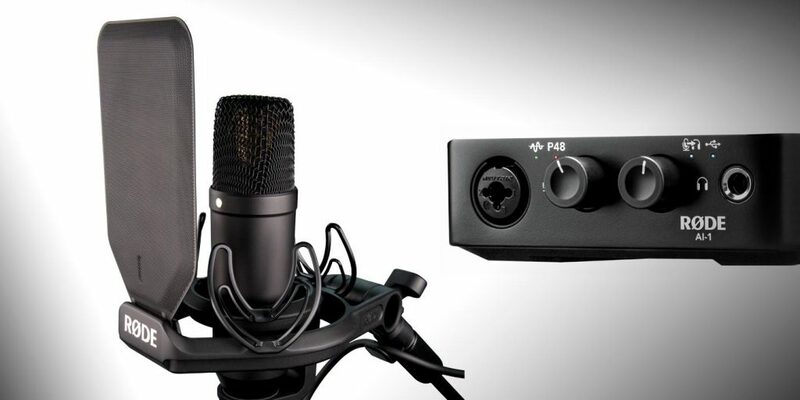 In Mode B and with the 10 dB pad engaged, the TG Mic is almost impossible to distort. Third on the mic is a 5-position rotary switch that engages the Tape Equalizer settings. The Tape Equalizer is the secret sauce of the TG Mic; it gives the mic five very different sonic qualities. Its roots lie in another historic 1960s–1970s device, the EMI TG12410 transfer/mastering console. One of these consoles is still in use at Abbey Road today, and Waves has released a plug-in version as well. Located on the console’s input module, the tape EQ consisted of a 5-position switch with four preset EQ curves used for compensating for the differences found when playing back analog tapes recorded on both sides of the pond. The left side contained the European IEC curves and the USA NAB curves were on the right, and both had settings for 7.5 and 15 ips tape speeds. Wade told me that the tape EQ may be his favorite EMI device ever, and that he uses one frequently when recording and mixing. He was also quick to point out that settings on the TG mic are inspired by the mastering console and used as starting points, not as one-to-one copies. Position 1: A gentle, wide low emphasis boost that noticeably thickens the low end. On vocals this is the instant radio announcer voice. In omni mode it gives the low end a more cardioid sound that it is a great choice on group vocals around one mic. Position 2: Adds a gentle high emphasis that opens up the mic for when more air and top end definition is required. Position 3: At 12 O’Clock the circuit is bypassed. Position 4: Takes the normal sound of the TG and gives it more bloom in the low end, balanced with added sparkle in the highs. It’s great for adding fullness and polish at the turn of a knob, and it’s my personal favorite overall setting. Position 5: Wade calls this the “jumbo setting,” and compares it to pushing a Pultec EQ to extremes. More than just boosting the lows and the highs like an EQ, it does so by increasing their harmonic richness, making everything sound more saturated. On electric guitar cabinet, this setting really is an OMG moment. We should also note that the highpass filter’s curves interact with each setting in a different way. So: take the above five settings, multiply by three for the different filter choices, and multiply again by two for the A and B modes, and you end up with a whopping 30 unique and different tonalities in one mic. Are you impressed yet? I sure was. Having done a lot of Ultrasone reviews in the past, I had a pretty good idea of what to expect when I put on the SP-5 and started listening to my reference library, but knowing that didn’t stop the smile on my face. I’ve said this multiple times over the years and will say it again: Ultrasone headphones sound amazingly, seductively good. 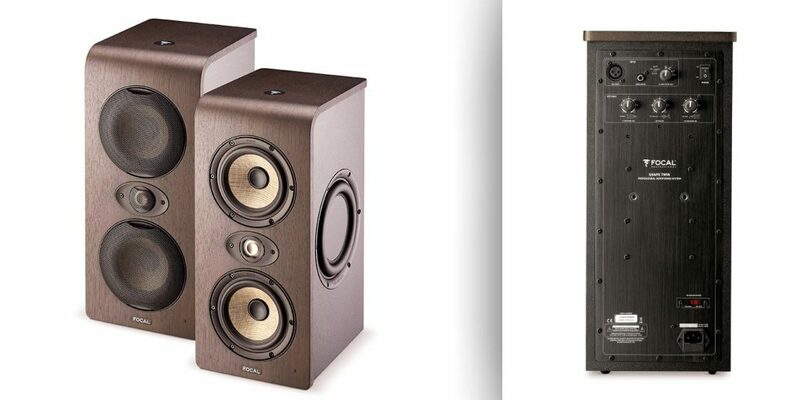 You put them on and you just want to play your tunes for hours and hours instead of getting work done… for sheer listening pleasure, they’re hard to beat without spending a lot more money. This leads me to the two cautions I always deliver to prospective buyers of headphones like this. First, be aware that the overall pleasure of the listening experience can make you less cautious about detailed examination of your tracks. Details are there, but you have to remember to listen for them! Second, note that the stereo soundfield of S-LOGIC Plus headphones is unlike that of conventional phones, but is also unlike that of actually listening to speakers in a room—they don’t remove the need to check your mixes on speakers. If you keep those two cautions firmly in mind, then go ahead and joyously immerse yourself in the sound of these phones. The first thing you’ll notice about the SP-5’s sound is the stereo image, which is wide and extremely detailed, more than you’d be used to on conventional phones. There is a clear left/right separation and a phantom center image that seems to float not in the center of your head but ever so slightly in front of you, making for very easy examination of individual sound sources in a mix. It’s startling at first, but as I said—seductive. Bass on the SP-5 is a treat—extremely tight, with fast transient response and a deep enveloping bottom octave, unbelievable on grand piano and bass. The mids might seem a little bit scooped to someone used to a mid-forward rock headphone, and this can be exaggerated by the soundstaging, but guitars and vocals stand out with beautiful detail. And the highs are clear and sweet without being shrill or harsh, revealing the complex treble details of live instruments while tracking and of high-resolution sound files on playback. The SP-5 has good isolation, making it practical in front of open mics and therefore equally at home in the tracking room and at the console. The headband fits tightly but comfortably, and fatigue over long listening sessions isn’t usually a problem at reasonable listening levels. Oh, and speaking of reasonable listening levels and fatigue, the SP-5 offers another benefit that ADAM doesn’t mention, but which Ultrasone does in its headphone literature and which I’ve experienced many times before. I haven’t delved into the science behind this, but S-LOGIC Plus makes headphones seem louder than they actually are, by several dB. As a result, you can work at lower levels without sacrificing perceived punch, which leads to increased hearing safety and longer session times without potential harm. Cool! According to Wade, the TG Mic was designed to be used in the same places one would put a classic solid-state workhorse mic like a Neumann U 47 fet, U 87, or AKG C 414. Even so, it’s not a clone of or homage to any of those designs. I have tried, tested, and listened to the TG Mic on sung vocals, spoken word, electric guitars clean and jangly, electric guitars heavy and earshattering, acoustic guitars, bass cabinet, kick drum, snare drum, drum overhead, room mic, and on percussion—both in my studio as well as at the studios at Chandler HQ in Shell Rock, IA. 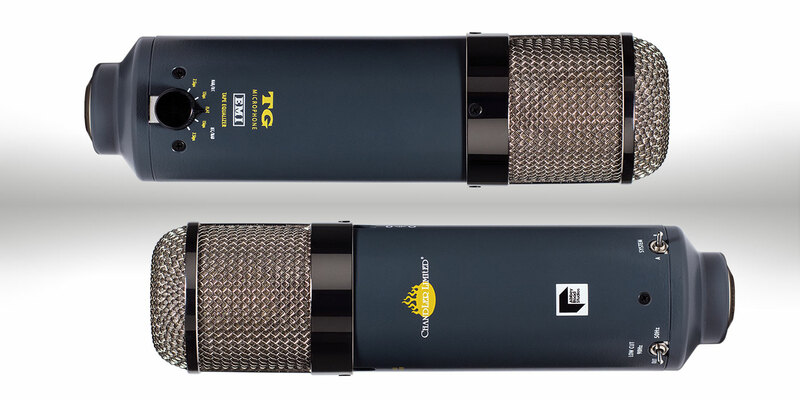 I also compared it to two C 414s (one old and one new), a 1970s-era U 87, and both vintage and reissue U 47 fet mics. In short, the TG Mic hangs with all of the above without breaking a sweat. Again, it’s not a clone of any them, but you can dial in settings that do come close on certain sources. Even if this mic only had its stock setting, its tight and forward blunt TG mid punch is great on vocals, electric guitar, kick drum, and bass cabinet. Adding in the other settings adds to its versatility on acoustic guitar, room sounds, drum overheads, and more. I have yet to find a source where I struggled to make the TG Microphone work after “scrolling” through the options. The TG mic is very much the opposite of the REDD Mic, which (after two years of constant studio use) I would call big, open, full, 3-dimensional, and sparkly, a mic that has a huge soundstage and holds its tone and depth even at great distances. In contrast, the TG Mic punches nicely and unapologetically up the middle and can be chilled out or harmonically excited from there. As much as I love the REDD Mic—which is one of the crown jewels in my studio—I think the TG mic might be a better all-around workhorse mic with a wider range of versatility for many studios. In use and function, it reminds me somewhat of another of my favorite mics, the Lauten Audio Eden—which also offers multiple distinct voicing options. What I like is that you can leave a mic like this set up at all times in the studio. Rather than cycling through various mics to find a sound, you can flip a switch or two quickly to dial in your sound. Hats off to Wade, Abbey Road, and the Chandler team. This is a great instance of “mission accomplished.” The TG Mic is indeed able to be used anyplace you would use other classic FET and even tube mics, but it retains its own sound that hopefully one day will be a classic in its own right! Be sure to check out Recording’s YouTube page for a video interview with Wade Goeke with more info on the TG Microphone, as well as examples of all of the settings alongside other classic microphones on electric guitar, acoustic guitar, and bass.